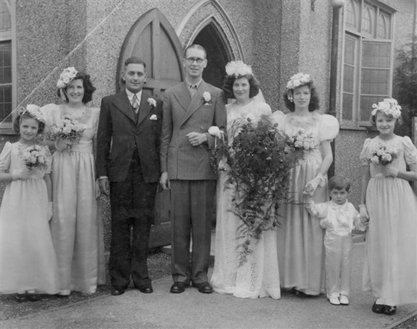 Rupert Musgrove's son Bernard married Joan Sylvia Richardson at St Stephen's Church Bexley on 16th July 1942. They met when they were both working at the Regal Cinema Bexleyheath. 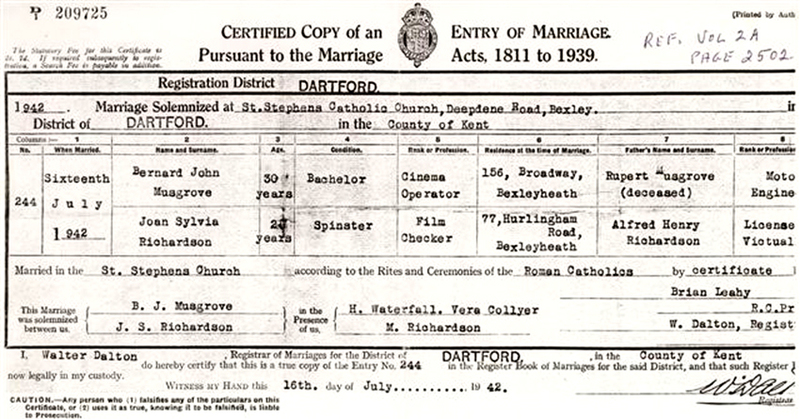 The certificate above shows Bernard's occupation as Cinema Operator, and Joan as Film Checker. 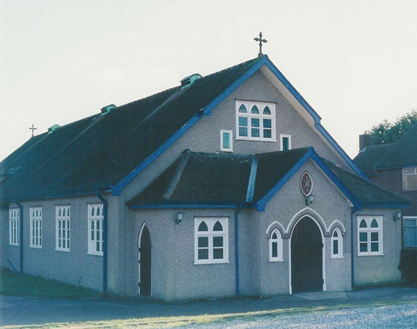 The photo below shows the bride and groom directly after the wedding service outside St Stephen's Church in Deepdene Road Bexley which is shown below.